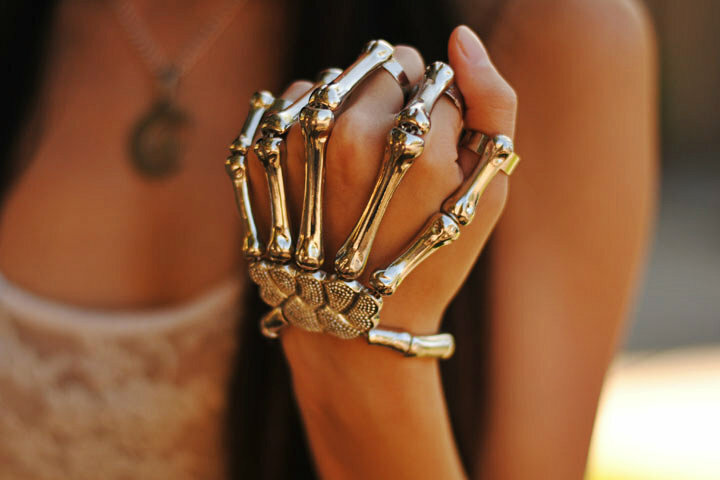 This is the ultimate skeleton-inspired jewelry piece! You might have noticed I don't wear silver jewelry a lot; the reason being, I only have 2 pieces of silver jewelry actually (this necklace and now this bracelet). 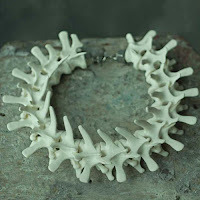 I do feel that the silver tone of the bracelet reflects the ivory color of bones more accurately than gold would though! Instead of going for a dark look, I wanted to compliment the silver jewelry with whites and pastels. 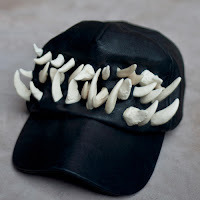 But if you're looking for more authentic looking bone jewelry, you seriously must check out OS Accessories! Every single piece is so beautifully crafted and you won't find anything like it anywhere else. From rib harnesses and fanged caps, to spine necklaces and more, I already have my birthday wishlist made.. :P Created by AJ Omandac and Paul Jatayna (who by the way, is one of my favorite guys on Lookbook, plus he's such a nice person! ), if you are obsessed with bones like me, you'll immediately fall in love with their jewelry. Today I finally finished my still life drawing!!! I've been working on it for too long I tell you! I think my next assignment will either be hand related (yay) or something that involves more color, since the past 3 projects I've done have all been graphite or charcoal. Anyways, it was really great to get all the positive feedback on the Outfit Photo Tutorial so it definitely was nice to know that it was worth the time it took to put it together :) My next post, I'm debating whether or not to save it for my blog's one year anniversary (September 5th) or maybe release it this month. What do you guys think? Should I post it sooner or save it to make it more festive? Since a lot of people have asked in the past, various questions about how I take my outfit photos, I thought I would make this guide to answer those questions openly and hopefully offer some new tips to you guys too! 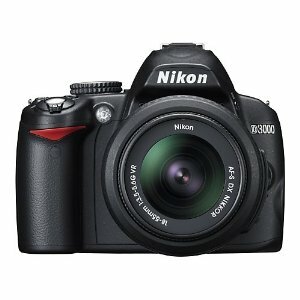 The camera I use is the Nikon D3000 (Update as of May 2013: I now use the Nikon D5100) which was purchased with the kit lens (the 18-55 mm) for around $450 (2 years ago), but is now available for $420. For under $500, this is one of the best basic DSLRs on the market. For Canon, I would suggest the Canon EOS Rebel T3 which is available for $490 on Amazon and also comes with the same 18-55 mm kit lens. I personally appreciate the fact that there is a Beginner mode available on the Nikon D3000, which basically tells you what every setting does on the camera and is very helpful if this is your first DSLR. I don't use the 18-55 mm at all anymore (only used it for my digital photography elective before I got my new lens) so if you want to save even more money, you can buy only the camera body. I definitely believe that the quality of photos from a DSLR are incomparable to those of a typical digital camera. But I will also go on to say that, you can still get beautiful photos from a digital camera if you know how to work with the correct lighting and know how to edit photos without overdoing them. My favorite photo that she took with her phone camera! Link to look here. My favorite example of someone who takes absolutely gorgeous photos with her phone camera is my good friend and well known Lookbooker, Kendall C! 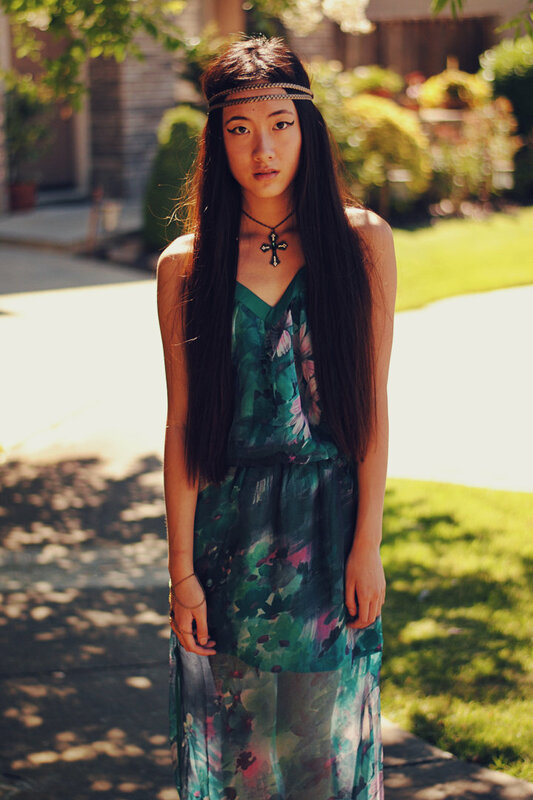 She recently got a DSLR for her 18th birthday herself, but all the photos taken before this look, were done with her Samsung Galaxy's phone camera. Incredible right? So yes, even with a phone camera, it is possible to achieve beautiful photos. However, it's a lot easier to do so with a DSLR. PLEASE save yourself the headaches and buy an auto-focus lens!! It is so frustrating when a photograph appears to be in focus through the camera eye but is not actually in focus when you upload them to the computer. Not to mention, you will have an even harder time getting clear photos if you plan to use a tripod and remote with a manual focus lens (Possible but very difficult). 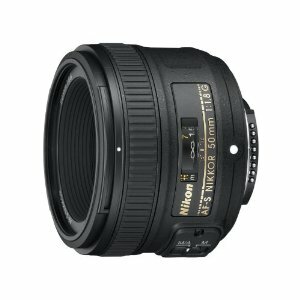 The 50 mm is a prime lens, which means it only has one focal length, unlike a zoom lens (such as the 18-55 mm) which has a range of focal lengths. To achieve the blurry background effect, you must use a lens with a high aperture (such as an aperture of f1.8; which is the one I always shoot on). You can still achieve bokeh (the blurry background) with lower apertures, but you must get very up close to them, which is not suitable for outfit shots outside of detail shots. (If you don't care about bokeh that much, then the 18-55 zoom lens will do by all means.) By close, I mean I had to get my face right next to a strand of wheat to get bokeh when using my 18-55 mm zoom lens. The reason prime lenses are much more preferred for the bokeh effect is not only how much easier it is to achieve bokeh from far away, but also because zoom lenses with very large apertures are quite expensive! Whereas prime lenses with large apertures are much cheaper. You will also note that with different lenses comes different types of bokeh. The 50 mm is particularly noted to give a "dotty" style of bokeh whereas zoom lenses tend to give "creamier" bokeh. Before buying a lens, look around on Flickr for specific lens tags to see what kind of bokeh each lens gives. By "photographer," you will either have someone else stand behind the camera and take the photos for you OR you can use a wireless remote and tripod. My sister is my photographer most of the time, but when I first started out, most of my pictures were taken with the tripod and remote. Most recently, I took these photos with a tripod and remote. If you ask someone else to take your photos for you, I recommend that you remind them when taking full body shots, not to cut off any part of your body, and to leave some "cushion" room at the top and bottom, and left and right. This may seem very obvious but I don't know why a lot of people always cut part of me off when I ask them to take my outfit photos... -.- So just make sure to give them a friendly reminder! 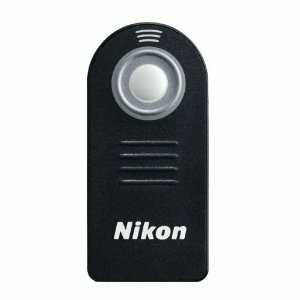 Moving on, the remote I use is the Nikon ML-L3 wireless remote which is available for $17 (I also recommend you buy a stock of the replacement batteries because they do run out after a while). 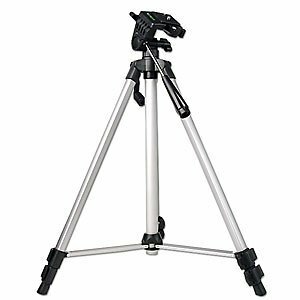 I also use a random adjustable tripod I found in my house but I recommend you buy a tripod that has the adjustable handle thing because it's a lot easier to move the camera body that way, such as this one. Here, I am going to explain how to use the remote and tripod for those who may need a bit more clarification. The directions will vary a bit depending on what camera you have but for mine, before I can use the remote, I have to go into the settings and set it so that my camera will be taking photos via the remote and not the shutter button. You don't actually need to position the camera at eye level.. mine is positioned at about 2.5 feet high and then you can adjust what angle the camera will point at you via the tripod. Do whatever works for you, because there's more than one way, but this is just how I do it! Now that the camera is mounted properly (mount it so the orientation is vertical), the remote is ready to go, and the lens is set to auto focus, there are two ways that I take my pictures. Before I move on, when you are done taking pictures, REMOUNT THE CAMERA TO THE HORIZONTAL ORIENTATION before you start walking away. Sometimes the screw that holds the body in place gets loose when you are constantly going back and forth checking your photos. Although the screw is deep, it can still get loose to the point where your camera will fall right off the tripod as you are walking away and get ruined once it hits the ground. Don't risk it! I'd even hold the camera to the tripod (or even just take it off and hang it around your neck). Note: It generally takes me and my sister 10 minutes of shooting and checking back and forth after every couple shots to do my outfit photos. When I first started, I was outside on my own for up to an hour figuring everything out, so please don't get frustrated because it comes with practice to take them quickly. One way to make sure your camera will auto focus on you and not something else in the background or foreground, is to first focus your camera on a wall, then go stand right in front of it (as close as you can get to the wall). The auto focus will usually adjust to focus just a teensy bit more in front of it to capture your outfit clearly. Take a couple test shots, (mark your spot before you walk away with a rock or use your foot to scratch an imprint into the ground), check if the photos are in focus by zooming in... if they are, good job! Go back and shoot away. Here, using the same brick wall, I set up my tripod so that it was facing about parallel to the wall (the wall curves a little though, fyi). Then I focused the lens on one part of the brick wall that was more noticeable to me than the others. I went up to that same spot, started clicking the remote, and after taking a few test shots, I marked where I was standing and went back to make sure they were in focus. If not, I would either adjust myself forwards or backwards, go back and check the photos were in focus, until I found the right spot (this really isn't as hard as it sounds, it just takes practice). It's really up to you which method is easier, some days, this method is easier, other days, the wall is. Now that you have mastered how to achieve clear photos, another thing you will have to pay attention to get the best quality photos is lighting. You will notice I only shoot on sunny days (okay, with the exception of 2 looks!) because sunny lighting not only allows for the beautiful backlit effect, it helps the brick wall location look less dead, and quite frankly, not everyone photographs well in overcast lighting (me being one of them, although sunglasses will fix that problem!). If you photograph well in overcast lighting, you will most likely photograph well in sunny lighting, lucky for you! As it gets to midday, the light starts to come from overhead, which will not give you the best backlit lighting but it will do (if you shoot before midday, go when the sun is hitting at an angle that is not directly above for best results). When the light comes from above, to avoid getting random spots of light only shining on your nose, angle your face downwards a bit. Notice how in the photo above, the described effect is present. Once I angled my face down more, it went away. This is the way I have been photographing most of my looks. It's very handy during the summer heat too. When it's quite sunny, I often like to step into a shady area, while still turning my back away from the sun. 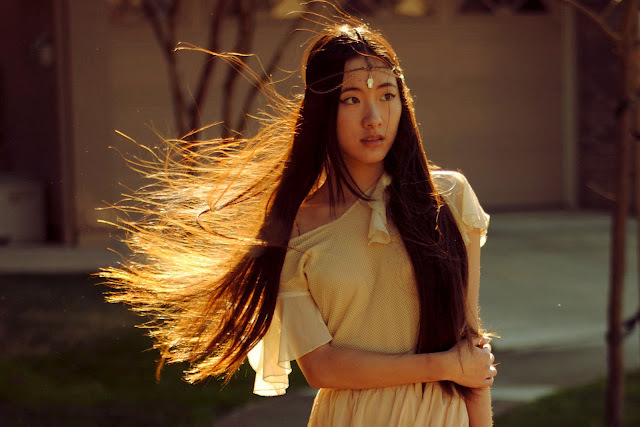 You get a very subtle backlit effect in your hair but for the most part, there is not much backlit lighting illuminating your outfit with that glow. I like these photos the best! The lighting on my skin has a lot of values and softly lights my outfit too. The reason I call it "sunny lighting" is because on sunny days, even when you are in the shade, the excess sunlight will still reflect off of the ground and fill up the hollows in your face. When wearing all black, I recommend stepping into the shade and increasing the exposure. Here is an example of a photo where the camera could not see much detail in all the black because there was too much sunlight coming at it. Step into the shade, and the camera will have an easier time seeing all the values of black. With the location that I shoot at, I don't like overcast lighting. Notice how the ground and the brick wall look so dead x.x Overcast lighting, I feel, looks really good in a city environment. You can also see more of the hollows in my face. Some people look best in this type of lighting though! But if you are like me, throw on a pair of sunglasses and problem solved. You will also need a deep understanding of the various camera settings on your DSLR. I will not go into great detail explaining aperture, shutter speed, ISO etc. You can find much more detailed explanations online or you can buy this beginner's book to photography. 1. White balance = I have set mine to "Shade" so it compensates and makes everything very warm. 7. Manual vs Priority modes = Manual means you control everything; priority modes such as Aperture Priority or Shutter Speed Priority allow the camera to control some things. I always shoot on Aperture Priority. 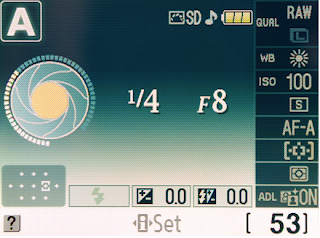 By choosing aperture priority, I allow the camera to select what shutter speed it believes is most suitable. 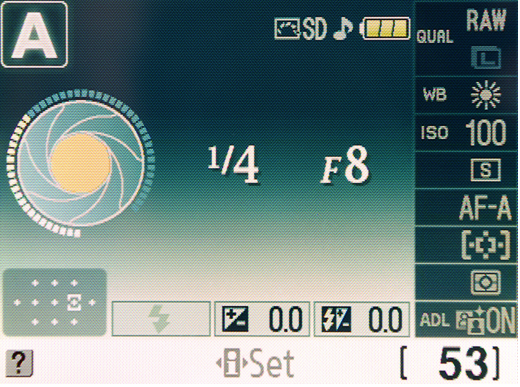 And by choosing shutter speed priority, it selects the aperture for you. 8. Image size = Large; very important when you decide to crop a full outfit shot into a detail shot! *** Note: You can also shoot in RAW mode, but I am not experienced with that. RAW mode is so much better for post processing though! Along with the lowest of aperture of f1.8 and an occasionally adjusted exposure setting, these are the settings I've used for over 100 set of outfit photos now! I also want to give some tips on posing in your outfit photos! I usually take from 30-80 shots. (It's really not that hard to get up to 80 if you just keep clicking away! :P) An 80 shot day would be when I'm using the remote and tripod and am having focusing issues. By taking a lot of shots, you have lots to choose from and you will often get that one perfect shot that made all of it worth it! 12. Don't forget detail shots! 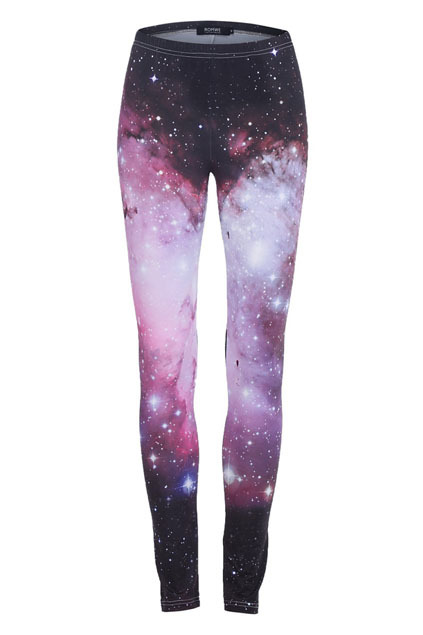 * Also, look around on Lookbook and see what poses you like if you need inspiration! And it helps if before you start taking photos, you practice posing in front of a full length mirror. This way you can see what poses look good and which one's look awkward, instead of through trial and error. This is more obvious but if you don't have prior experience with cameras, you'll need an SD card reader to put your photos onto your computer. I used to upload mine into Adobe Elements Organizer but then I started using iPhoto because I realized it was easier for me. Organize your photos into individual folders for each look. Once uploaded, I open the photos I like in Adobe Photoshop Elements where I edit any skin imperfections, crop the photo, and resize them for my blog. I also use Elements to create the collages I upload to my Lookbook. After that, I open the photos in GIMP to edit Levels and Curves. Photoshop elements doesn't have Curves capability so I like to use GIMP for that. Levels edits the contrast and lighting, while Curves edits the color balance between Red, Green, and Blue. GIMP can be downloaded for free by the way! OR on other days, I will feel like using Pixlr instead of GIMP! Lookbook has a built in Pixlr widget which is what I have been using recently. I'll go on there, play around with the Subtle filters, and adjust little things. Then after I come up with a photo I like, I open http://pixlr.com/express/ for my other blog photos to use the same editing screen without the photos being uploaded to Lookbook. If you go directly to the Pixlr website, you will be directed to the Pixlr editor here http://pixlr.com/editor/ where it is much harder to quickly edit your photo with the filters. However, if you don't want to download GIMP, the Pixlr editor also has Levels and Curves capabilities and can resize photos. I truly hope these tips will help you guys take better outfit photos! I hope this answered all your questions too. If you found this helpful, I would appreciate it so much if you would spread the word about it! If you have more questions, feel free to send me an email and I'll do my best to help you! 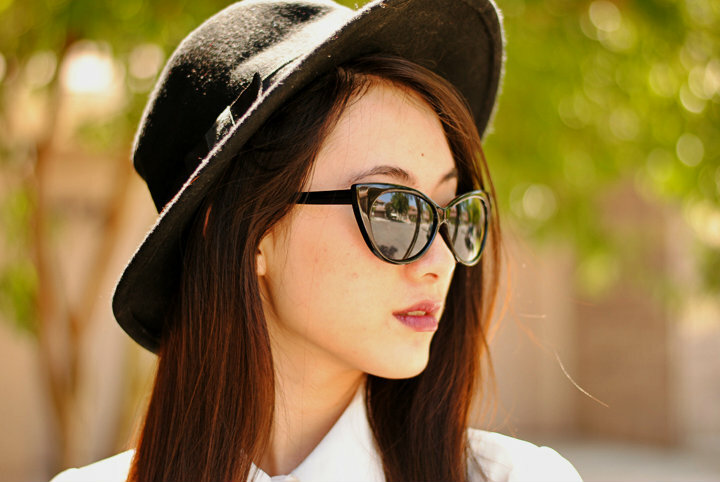 I am so happy with today's photos and my new cat eye sunglasses! 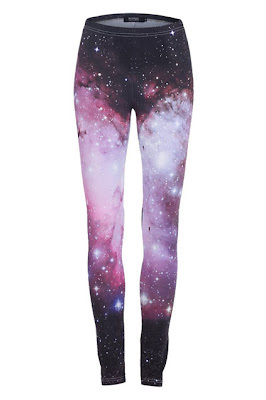 I can't believe how flattering these are on my face shape; I never want to take them off now! I used to be annoyed that my eyebrows peeked out above most sunglasses but I think in this case, the cat eyes frame my brows quite well. Cat eyes are hands down, my go-to style of sunglasses from now on. PS: Wow, I'm so thankful for all the emails you guys sent to me! I really love getting mail from my readers; it means a lot that you guys take the time out of your day to write me. <3 Much love to all of you!! Today I edited my photos with this nostalgic feeling, pink tone! I felt that this look was a particularly romantic one and wanted to enhance the atmosphere of the background. I think that red lace is an incredibly stunning fabric that looks great not only when it's fitted, but also when it's loosely draped. It gives off a very expensive and designer feel don't you think? ;) Fitting with the romantic feel of the dress, I went for starlet inspired curls and a red lip to match. It's such a pain curling all of my hair so I only do the bottoms out of convenience but I like the way it looks better too (I have one of those curling wands, which by the way is so easy to use if you've never tried one)! One of my readers emailed me with a really great post idea-- a post on how I got started blogging. Along with my outfit photo tutorial, these are two of the posts you can expect to see coming soon. If you guys have any other posts you want me to do, just shoot me an email! <3 Have a great day everyone! 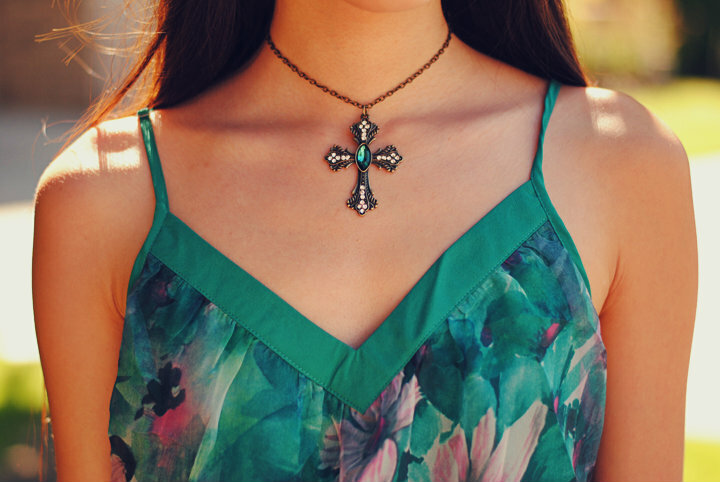 I started to go for an all black look when I added the mesh top and hat, but I wanted a small pop of color to contrast so I wore this vintage cross necklace with these orange jewels in it! I also got another chance to wear another skeleton inspired piece of jewelry, this awesome bone hand ring. Lastly, I wasn't sure whether or not to wear my black booties or my houndstooth platforms so I went with the platforms since they make me look really tall and these high-waisted shorts elongate your legs already so it looks like I have crazy long legs today!